1. Nasty Gal Blinded by Rainbows Striped Sweater : Subtle? Not exactly - but who’s to say that’s a bad thing. 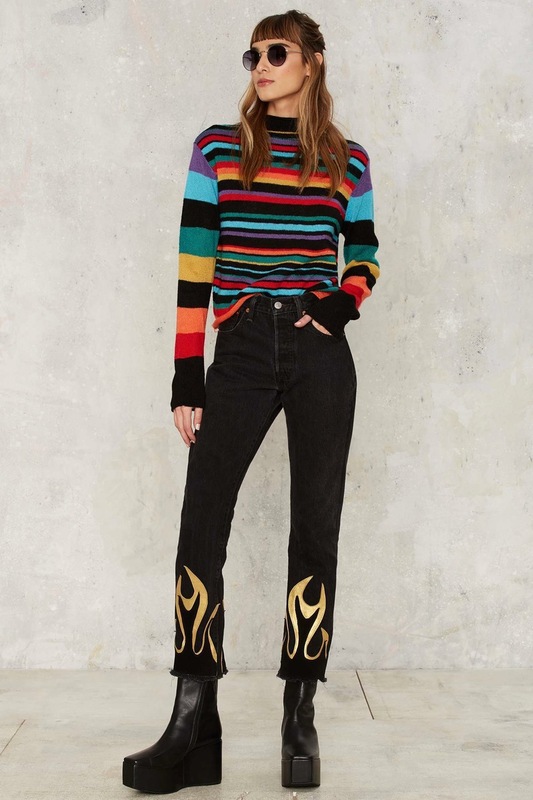 We like our color served up bold, and this technicolor number doesn’t disappoint. Take it there with a green leather mini skirt and OTK boots, or dress down the drama factor with classic black jeans and lace-up flats. 2. 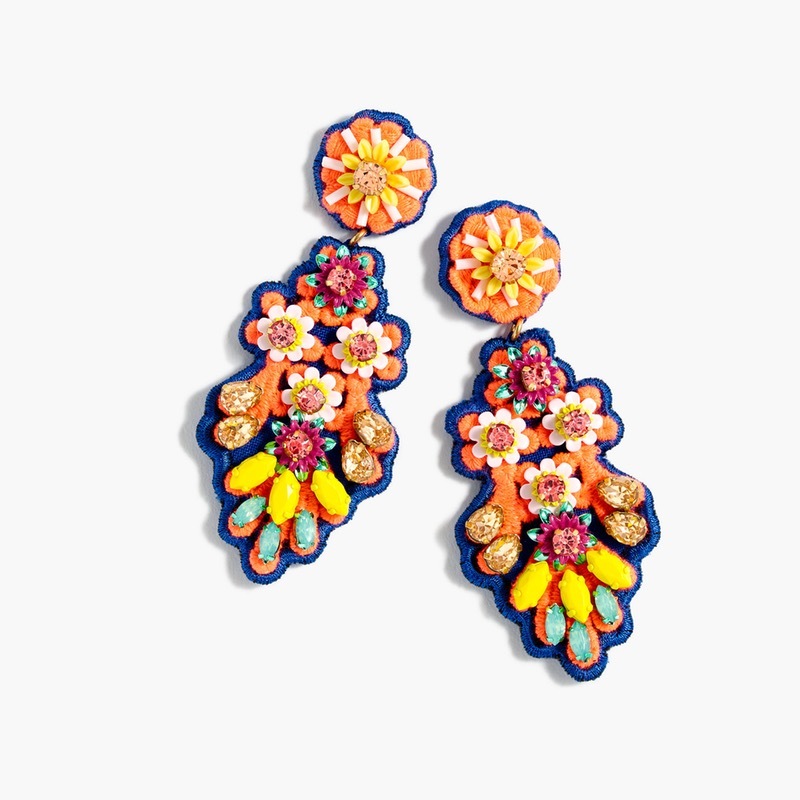 J.Crew Embroidered Crystal Earrings : Jewelry offers an impactful-yet-understated way to work a touch of color into any ensemble. Team these bright orange sparklers with a smart suit and down-to-business pumps for an on-duty #OOTD that transitions from day to night in flawless fashion. 3. 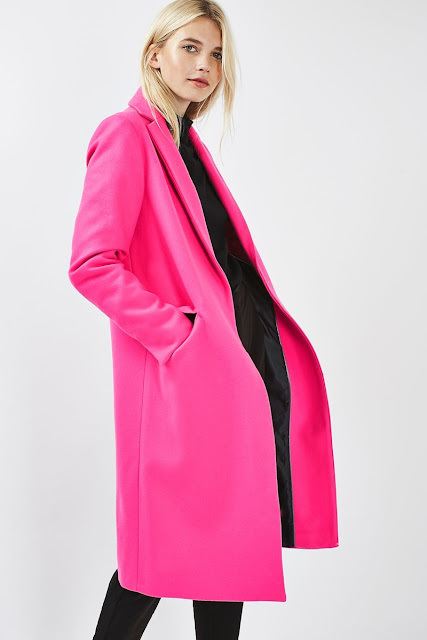 Topshop Fluro Wool Coat: Flying under the radar is impossible with this fluoro number on your side, but trust us - it’ll get you noticed for all the right reasons. In a sea of dreary black duds, you’ll shine bright during your morning commute. Let your outerwear do all the talking by teaming it with pastels or neutral hues. 4. 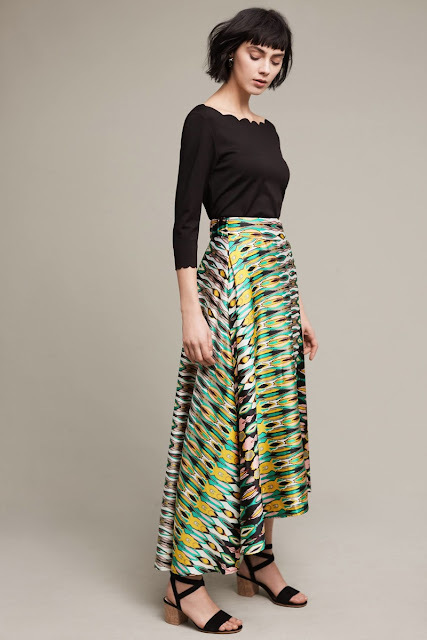 Eva Franco Idna Maxi Skirt : Full-on color can be intimidating. Ease into the idea of bold-and-bright dressing by teaming punchy prints with solid separates to strike just the right balance of sophistication and edge. Select your accessories based on the colors highlighted in the pattern to take your look to the next level. 5. Zara Satin High Heel Shoes With Straps : Retire those metallic pumps and let these blue satin scene-stealers shine for a hot minute. Whether you team them with a cozy knit midi dress or tailored black trousers for the office, the result will be downright DDG. 6. 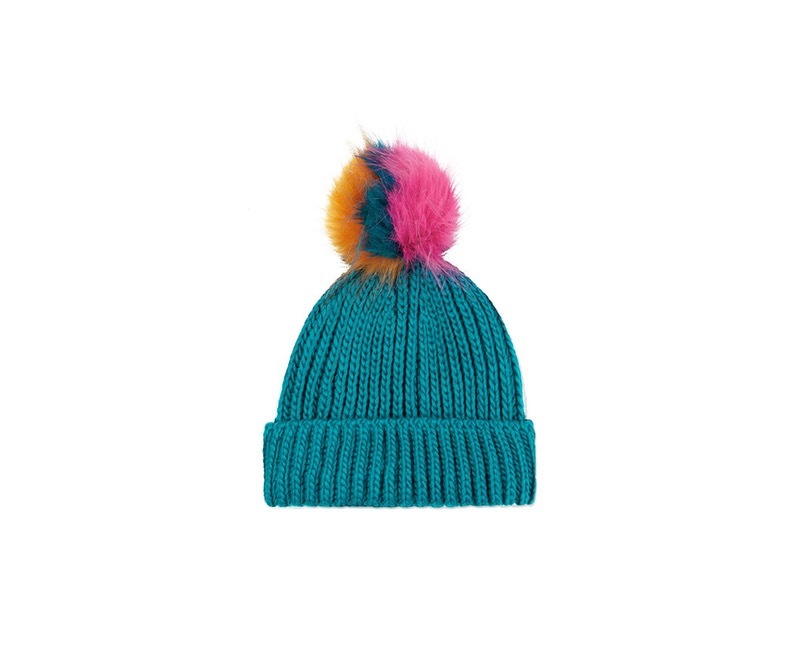 Topshop Multi Pom Beanie : Winter woes can’t touch this colortastic topper. The multicolor pom is straight-up goals, while the turquoise knit will keep your noggin nice and toasty when the wind is howling and the mercury dropping. Team it with a trusty black car coat or metallic puffer for maximum impact. 7. 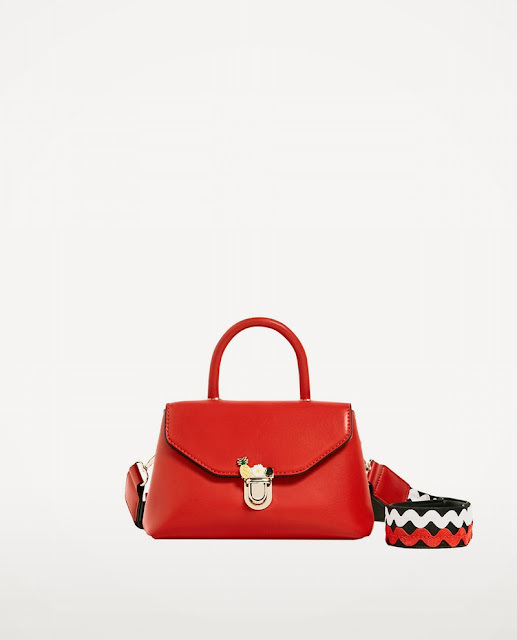 Zara Crossbody Bag With Fastening Detail : We’re always in the market for a fab new bag, and this structured top-handle stunner is currently taking up residence on our must-have list. We’re not sure what we love more - the look-at-me shade of red, the playful pineapple buckle or guitar strap-inspired crossbody detail that exudes straight-from-the-runway appeal. 8. 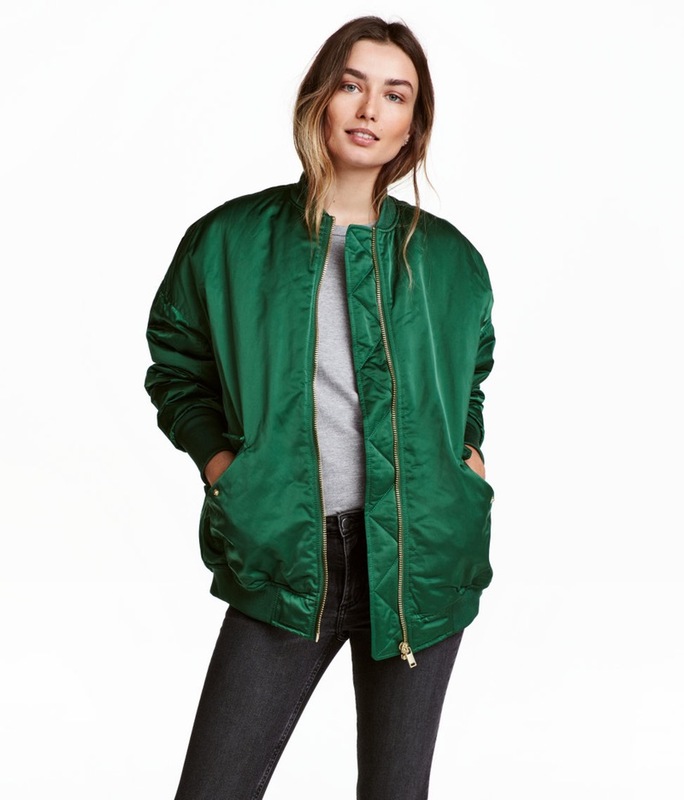 H&M Oversized Bomber Jacket : If puffer jackets and oversized wool coats are a little *much* for your climate, then this emerald green beauty is the outer layer you need in your corner this season. Perfect for trips to the farmers’ market or perusing your fave Saturday morning flea, it’s downright dreamy styled alongside an oversized scarf, skinny jeans and fresh sneaks. 9. 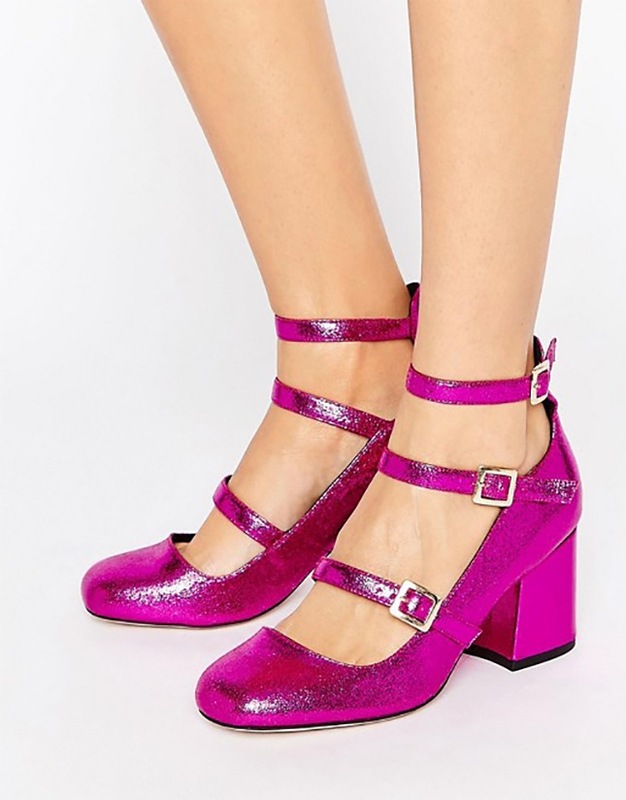 ASOS Sylvir Multi Buckle Heels : Sure, these shimmery Mary Janes have partay written all over them, but why wait for a special occasion to bust ’em out? Pop ’em on with joggers and an oversized sweater for an afternoon of errand running. Statement coat and bright earmuffs are non-negotiable. 10. 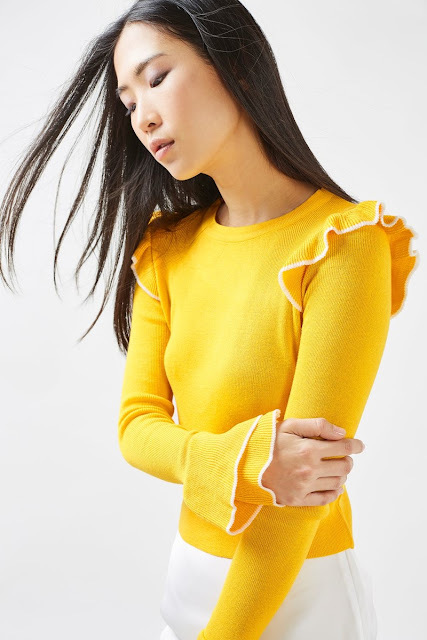 Topshop Tipped Frill Crop Top : Embrace a pop of color with this ruffle-trimmed shirt that makes a chic statement. By day, tuck it into a printed pencil skirt for the office - statement earrings included - then sass things up by night by slipping it over a slip dress and stiletto boots. 11. 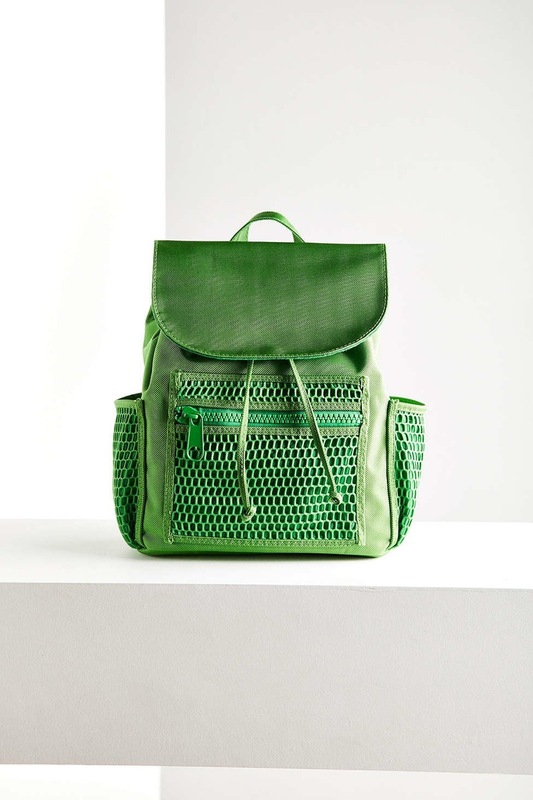 Urban Outfitters Brianna Mini Backpack : Your weekend workout routine does require the same amount of swag as your daily grind, which makes this compact backpack ideal for an off-duty sweat sesh. Load it up with your water bottle and post-workout beauty essentials, then go get your fitness on, girl. 12. Rebecca Minkoff Sofia Biker Clutch : Sorry, ladies. 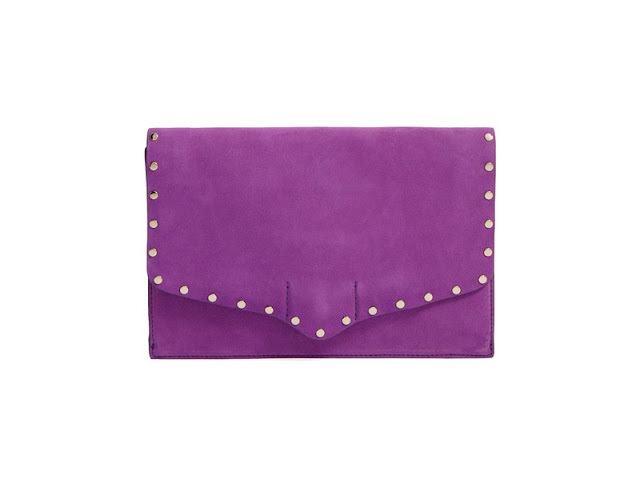 It’s time to part ways with that blasé black clutch (but not indefinitely) and breathe new life into your after-hours style with this perfectly purple option. Accented with polished studs, it embodies a biker-chic aesthetic that gives off just the right amount of don’t-mess edge - a GNO essential.